The commercial Hindi film romcom (romantic comedy) in the last two years, by default, has wealthy characters, thus sweeping aside with any monetary hurdles in the screenplay. London-based Luv (Ali Zafar) calls off a five-year relationship with his girlfriend, following an altercation. Fifteen minutes in to ‘singledom’ he calls up his younger sibling Kush (Imran Khan) in India, asking him to look for a suitable bride for an impromptu marriage. Post the mildly amusing reference-filled title song, and rushing through a predictable unsuitable band of prospective brides (stupid, foolish and crazy in typical Hindi film treatment), the right match is finally found in Delhi. Only, the London-born Dimple (Katrina Kaif) is a former college mate of Kush, and as he remembers - rebellious, a beedi-smoker and alcohol 'binger'. None of this is revealed to the parents, as after a ten minute provocative (the movie’s best, original moments) video chat, Luv and Dimple assent to the wedding. Even as both parties collect at Delhi for the engagement, Kush accompanies Dimple to fulfill her desire to live life to the fullest before the D-day. Even as the engagement takes place, Kush realizes that he is in love with Dimple. Inevitably, he declares his love to Dimple who, after a thundering slap, assents. The plot that Kush, his friends and Dimple hatch to turn the tables on the marriage forms the rest of the movie. All sugar candy in the location, attire and scenery, the film picks up after a tepid laugh-miserly half-hour, but only just. The promised jokes come in a trickle; all the tribute paid to various Hindi films is sadly devoid of any wickedness. Thankfully, the story follows a linear path that keeps us interested. Imran Khan puts in a sincere performance. Katrina shows that if she is given a breezy, cheerful role minus complications, with an excuse to use her accented Hindi, she can act too. 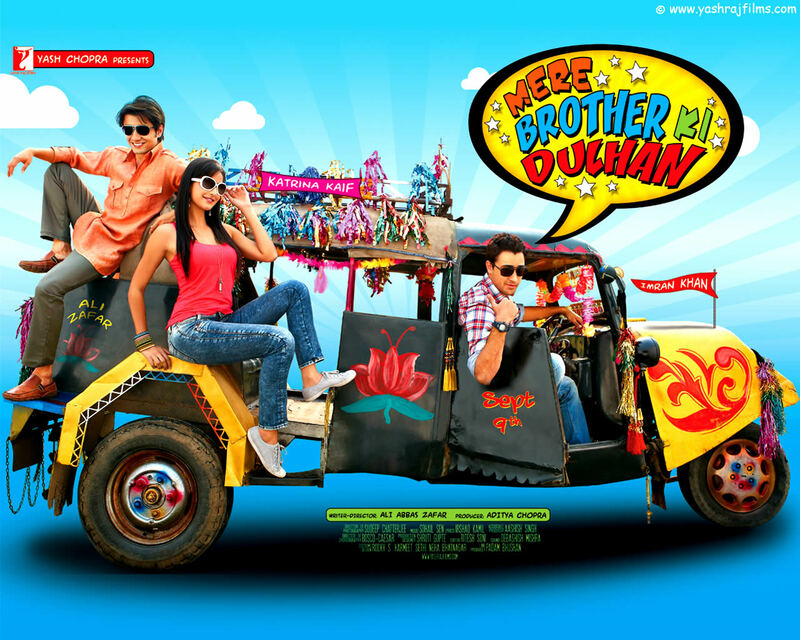 The screenplay overshadows Ali Zafar’s is a fresh performance, decent, we like it whenever he makes it to the screen. The supporting cast are all good, especially Kush’s friend. Dimple’s mentally challenged brother is a stereotype best avoided. A bearable one-time watch. Sohail Sen’s soundtrack is standard Yashraj fare, all seen and done, from Sufi-wannabe songs like Dhunki (Neha Bhasin rocks, Katrina doesn’t emote as well) and Isq risk ( featuring the indefatigable Rahat Fateh Ali Khan again) , to the passables – Do dhaari talwar, Choomantar and Madhubala. We expected more after Sen’s sincere stuff for last year’s Khelien hum jee jaan se.